As the weather is heating up, the Busy Bee activity is cooling down – we will have our last Busy Bee for the year next Sunday 27 November at the Merri Corner Community Garden, corner of Donald and Harrison Street, Brunswick East. All are welcome. Come down for an hour or so, or a bit longer if you like – we don’t expect you to stay all day! From 12.30pm – 2pm we’ll have an end of year BBQ to catch up and spread some early Christmas cheer and we’d love to see you there. Snags and vegetarian options will be provided, please bring a plate of sweet treats or a salad to share. And from 2pm – 4pm there’ll be an afternoon shift to finish off any remaining Busy Bee jobs. 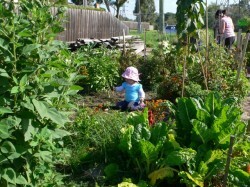 The next Merri Corner Community Garden BUSY BEE is this Saturday 24 September. We’ll have two shifts this time, from 10.00am to 1.00pm then 2.30pm to 4.30pm. There’s no rain expected and it will be cloudy and 18 degrees so we’ll have ideal conditions for Busy-Bee-ing! It’s the second to last one for the year so we’re making a push to get compost moving, prepare communal beds and put some plants in the ground. If there’s time and enough people we might also cut the grass on eastern verge, and level and mulch the area next to the tank. If you have a spare hour or so please join us. Next year there’ll be less construction so we’ll hold busy bees only four times a year (phew!). Mark your August calendar because the next Busy Bee will be converted into a plot holders meeting. 3. 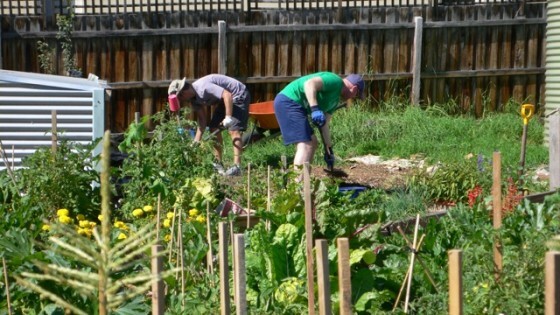 What’s happening in the communal beds – sensory garden, other areas? The meeting will be followed by morning tea, please bring a plate of food to share. And later on, we’ll have a short busy bee down at the garden from 12 noon to 1.00pm. The next Busy Bee will be on Sunday 26th June from 9.30am – 12.30 pm down at the garden, corner Donald and Harrison Streets, Brunswick East. There’s something for all, and all are welcome – Busy Bees are not just for plotholders. Come down for the whole stint or just pop in for a bit. Busy Bees are not all about hard work, there are plenty of opportunities for other fun stuff – bring some morning tea to share, catch up with your fellow gardeners for a gab about growing and meet some new friends. A list of jobs for the day will be posted closer to the Busy Bee. Hope to see you there! We’ve a busy-bee coming up this Saturday 28th May from 9.30am – 12.30pm at the Merri Corner Community Garden, 194 Donald Street (corner Harrison Street), Brunswick East. There’s something for all, and all are welcome. Come down for the whole stint or just pop in for a bit. Busy Bees are not all about hard work, there are plenty of opportunities for other fun stuff – bring some morning tea to share, catch up with your fellow gardeners for a gab about growing and meet some new friends. Finishing off garden edging around the fence line – lay boundary sleepers. We’ll also have a discussion session about Composting, Planting Ideas for the Northern Verge and for the Raised Garden Beds at the entrance to the garden at around 10am. Here’s a schedule for Busy Bees for the rest of the year, and we’ll have these up on the website/Facebook/noticeboards at the Garden soon, so mark your diaries, green-thumbs! Hope to see you all down at the garden on Saturday, or some other time soon! 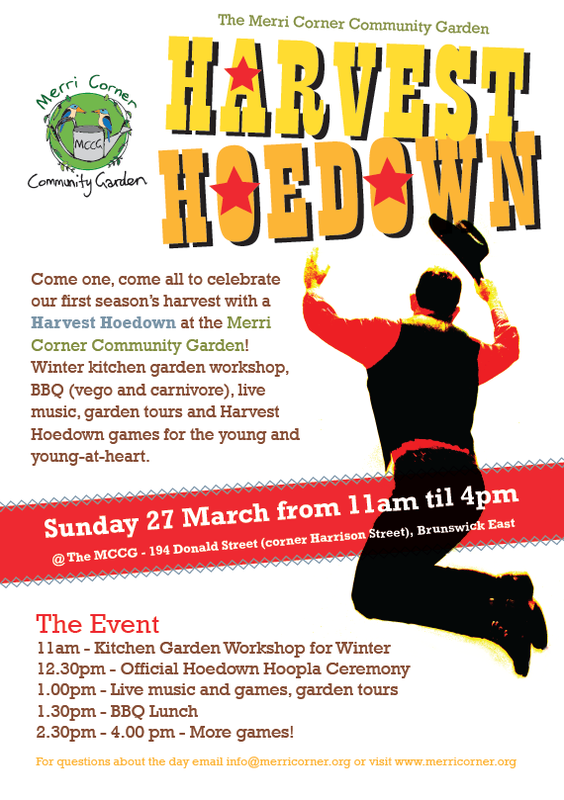 On Saturday 21 May at 12.30pm Moreland City Council will be at the garden for a photo opportunity. If it is suitable, the photo will potentially be included in the Inside Moreland calendar, distributed to residents in 2012. 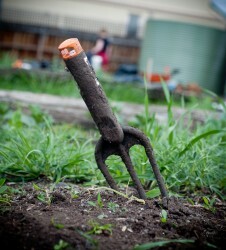 The council would like to take a shot of our Merri gardeners working in the garden together – if anyone can come along with a big smile and their best gumboots it would be a great boost to help promote the MCCG next year. In the event of postponement due to wild weather, we’ll post an update here on Friday 20 May.